oh... that really looks very very nice to me! must try the splitter on a bangle.. Very cool! 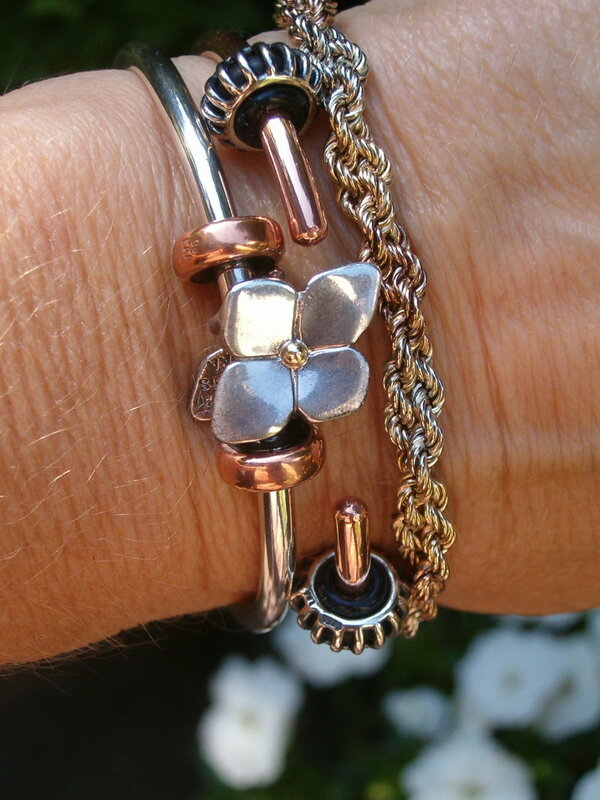 I'm also planning on building a mixed metals bracelet. I wear a lot of metal colored clothing (gold or rose gold leather shoes, a rose gold chain on my purse, silver cardigans etc) It looks like a great way to pull everything together! Love it! How do you keep your copper stoppers so shiny? @AquaAura wrote: Love it! How do you keep your copper stoppers so shiny? A few drops of lemon juice and a tiny bit of salt will do the trick, it's very easy and quick to do. Very nice combination! I love mixed metals and have been wearing my copper and silver bangles together with leather all summer since it has been so hot. Thank you! Worked like magic!